Eh, what's up dock? According to U.K. retailer Clove, what's up is the news that Samsung has decided to 86 the QWERTY keyboard dock for three of its tablet models. The Samsung GALAXY Note 10.1, the Samsung GALAXY Tab 10.1 and the Samsung GALAXY Tab 2 7.0 will be saying adios to the single piece QWERTY dock that has had supply issues since November, according to Clove. 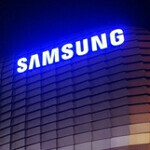 The retailer says that Samsung plans on replacing the single piece dock with one that is made up of two parts. One part is a tablet stand while the other part is a QWERTY keyboard that uses Bluetooth to connect to the tablet. The tablet stand half of the accessory is also designed to recharge the slate once connected to it. Some might argue that by turning a one piece accessory into something with two parts, Samsung is making the accessory less portable and more of a hassle to drag around. Even more of a pain is the higher price that Clove says the new two-piece stand and QWERTY dock will cost. Right now, Clove has images of the tablet stand portion of the accessory, along with a price (£24.95 including tax, or $39.14 USD), a model number and a launch date of later this month. What it doesn't have yet is all of the information for the Bluetooth powered QWERTY. 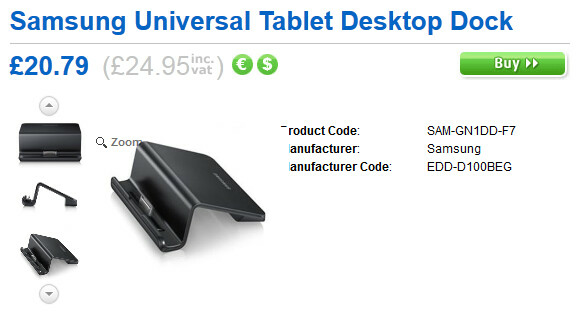 I don't understand why Samsung doesn't make a Transformer dock(with a battery) for their tablets.. Either get a keyboard dock like the Asus or even at least like the Samsung ATIV does. Or they should bring back the bluetooth keyboard case like they had for the original Galaxy Tab 10.1, it was better than most of the ipad cases out. I really wish there was something like a Galaxy Note 2 Padfone... now that would get BOUGHT.